This statistic depicts the distribution of the fruits and vegetables expenditures of households in the United States in 2017, broken down by type. 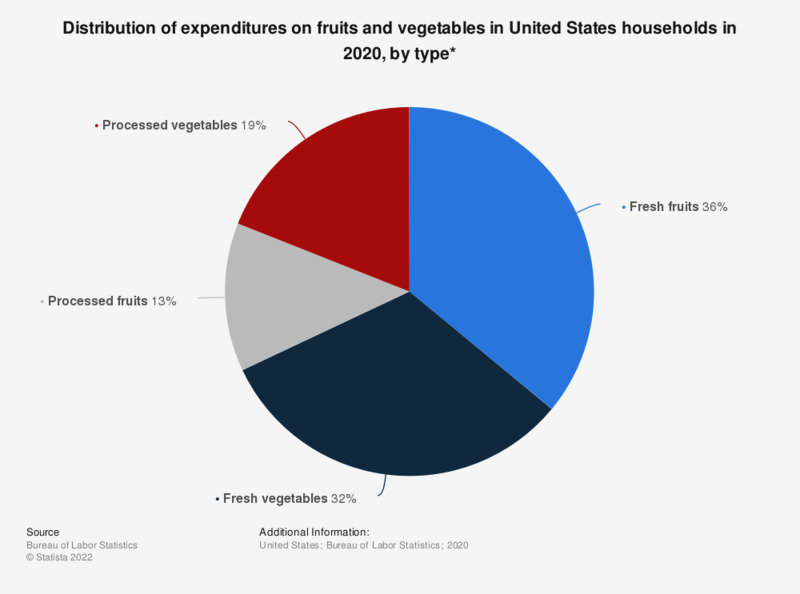 The expenditure on fresh fruits in U.S. households captured a share of 37.54 percent of the total fruits and vegetables expenditures. The total spending on fruits and vegetables of U.S. households amounted to about 836.62 U.S. dollars that year. Expenditure shares are based on internal calculations.